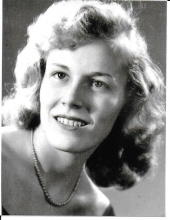 Janet Schaub, of Deposit, NY, died October 8, 2018 at her home. She was born January 14, 1939 in Yonkers, NY, the daughter of Heinz C. Andersen and Frances (Dempsey) Andersen. Janet was predeceased by her husband, Frederick W. Schaub; her son, Raymond; her daughter, Dawn; and her brothers: Raymond, James, and John. She is survived by her children: William, Kevin (Amy), Steven (Michelle), and John (Natalie); her daughter-in-law, Nadine; her grandchildren: Dallas, Zachary, Amanda, Justin, Paige, Shelby, Shania, Victoria, Brooklyn, and Benjamin; her great grandchildren: Rayven, Karmalita, CJ, Braeyden, Lanie, and Skyler; her sisters, Carol and Anne; her nephews: Tom Schaub, Chris Schaub, Doug Schaub, and John Ostrowski; her nieces: Lori Schaub, Jean Guarino, Nancy Guarino, Pamela Guarino, and Valerie Guarino; and her cousins: Bill Baker, George Baker, and Bobby Baker. Janet and Fred were married October 18, 1958 at St. John the Baptist Church in Yonkers, NY, and lived in various New York City Boroughs before moving to Deposit in 1971. Janet was a member of St. Paul the Apostle Church in Hancock, NY. A Funeral Mass will be held at St. Joseph’s Church, 98 Second St., Deposit, NY on Saturday, October 13, 2018 at 1:00 PM. On Saturday prior to the Mass from 10:00 AM -- 12:30 PM friends may call at Zacharias Funeral Home, 78 Second St., Deposit, NY. To plant a tree in memory of Janet Rose Schaub, please visit our Tribute Store. "Email Address" would like to share the life celebration of Janet Rose Schaub. Click on the "link" to go to share a favorite memory or leave a condolence message for the family.